When you purchase merchandise from the store, it is unlikely that you think about the people behind the products. The ones that are working long hours in the manufacturing plants, churning out products from pet food to personal care products. Sadly, conditions for these people are not always safe as thousands of works are exposed to hazardous materials without proper protection…Yes, here this is happening in America. Within a recent 30 day period, the US Occupational Safety and Health Authority cited a pet food company in Florida for failing to give their workers the equipment that they needed to stay safe while handling corrosive chemicals. In Pennsylvania, a hair salon was cited for exposing workers to dangerous materials and an Ohio musical instrument factory was busted for not protecting workers from toxic copper dust. Workers at an indoor gun range in Texas were exposed to unsafe levels of lead. These citations are regular, frequent and occur year-round across America. A country with extensive work safety rules does not seem to eliminate the fact that going to work could be a deadly experience for many. About 2.8 million workers die each year due to unsafe or unhealthy work conditions. Diseases resulting from the workplace such as lung cancer (linked to inhaling carcinogenic material) account for 86% of premature deaths. The UN report was published in September 2019 by Baskut Tuncak, the United Nations special reporter on toxins. Here is what he had this to say about the findings. According to Tuncak, Samsung factory workers in Korea are exposed to dangerous chemicals on the job. A 23-year-old employee, Hwang Yumi, died of leukemia in 2007 after working at the company for just five years. It is likely that she was exposed to toxic substances every day she was at work without meaningful consent. The Special Rapporteur heard testimony from former Samsung workers (all women) and their family members about tasks performed in the manufacture of semiconductor chips, such as dipping semiconductors into a chemical solution by hand to remove unnecessary parts and manually sorting and testing chips under high temperatures or voltages, releasing fumes. Former workers explained that they would still smell fumes from the workplace long after returning home. Neither the former workers nor the family members of the deceased could name the substances they had used in the workplace. Samsung recently agreed to arbitration for the death of the young worker and over 100 other workers who suffered from diseases, disabilities, and premature death in the Korean plant. 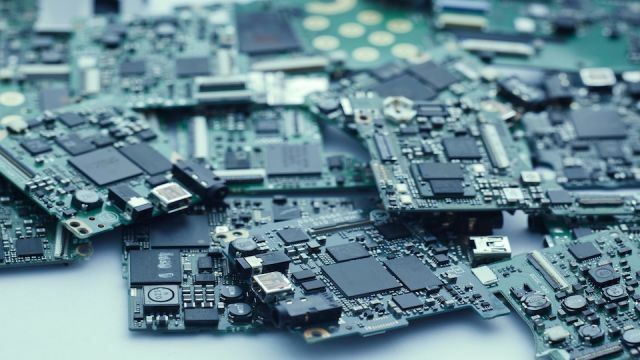 The UN has gathered statements from hundreds of other workers in the electronics industry who have developed cancer, reproductive problems, and other health issues related to toxic exposure of industrial chemicals. What makes this reality so sad is that there are alternatives – there are measures that can be taken to protect workers from exposure to deadly chemicals and hazardous workplaces. How safe are you at your job? Hey Buddy!, I found this information for you: "Toxic Exposure In the Workplace is Killing One Person Every 30 Seconds". Here is the website link: https://www.thealternativedaily.com/toxic-exposure-workplace-killing-person-every-30-seconds/. Thank you.